Custom-made, hand-tooled and hand-painted cowboy boots are both a fashion statement and a symbolic representation of the American spirit. They grew out of a need for dependable and protective footwear, and became, thanks to the movie industry, an icon of the West. Now they are trendy items, while still considered working shoes. Frank English Custom Boots is a one-person shop that just moved to El Prado, next to Camino Real Imports. English does everything, from measuring his clients’ feet to the last stitch on his signature-carrying boots. Before coming to Taos English lived in Montana, but he got tired of the long winters. Frank English wore his first pair of custom-made cowboy boots in 1995 in Boulder, Colorado, and was so pleased with the way they fit him that he decided to learn the craft. Later, English turned his hair salon into a boot shop and started making boots for his customers. Boot-making became his full-time business in 1998. The difference between store-bought and custom-made boots, English says, is that the latter are made to keep people in proper alignment with their body. First, English takes seven or eight measurements of his clients’ feet. He then makes an imprint of the foot and finds out if the boots will be used for dress or everyday work. After his clients choose the leather, English makes the pattern and adds inlays, colors and designs. Finally, he builds the last and makes the boot around it. Besides cowboy boots, English makes purses, belts, computer bags and motorcycle bags. “They are all made of high-quality leather,” he said. 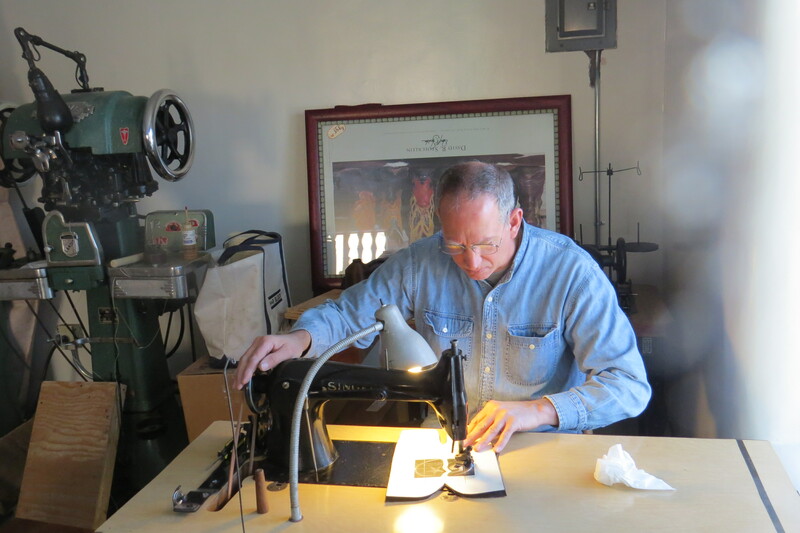 He plans to make jackets and vests in the future and can also repair certain kinds of boots. “Unfortunately, many of them are not made well enough so it isn’t worthwhile to repair them,” he said. Quality boots are an investment. They are expected to last a long time if taken care of properly. Do you want to make leather boots? Those interested in western boot making can contact English about classes. He will be taking students soon. “I like to teach small classes that last at least two weeks, and preferably longer,” he said. English says that boot making is a complex process that can’t be learned in a quick crash course. Selling made-to-order cowboy boots falls in the category of “niche business,” which offers a highly specialized product to a specific group of people. It is also built on a strong relationship between clients and providers. “I have many repeat customers,” said English. When you order a pair of boots from English, you can be assured of its quality, but you should also be prepared to wait up to a year, or longer, he said. 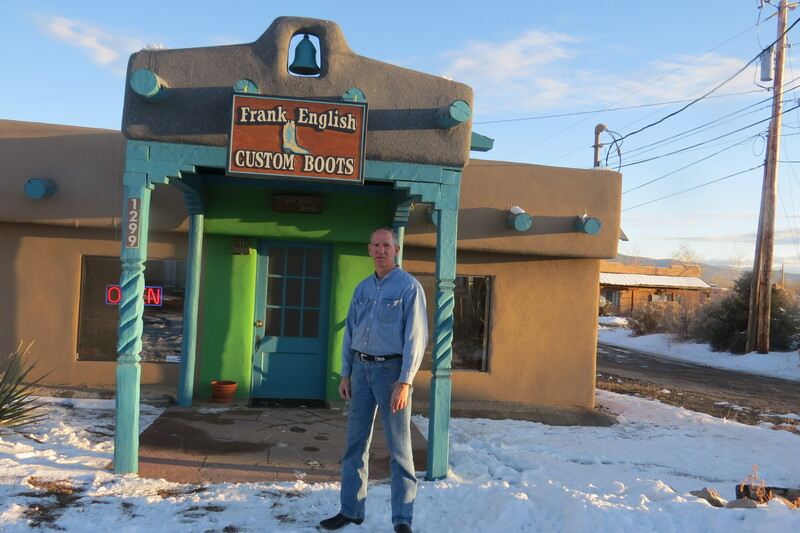 Frank English Custom Boots is located at 1299 Paseo Del Pueblo Norte.